September | 2013 | Reclaim America From The Lunatic Fringe! “Tea party-backed Representatives Michele Bachmann (R-MN), Louie Gohmert (R-TX) and Steve King (R-IA) on Saturday held a press conference in Egypt to thank the country’s military for overthrowing the elected government, and at one point even seemed to suggest that the Muslim Brotherhood had been behind the Sept. 11, 2001 attacks in the United States…”. * The Young Turks host Cenk Uygur breaks it down. 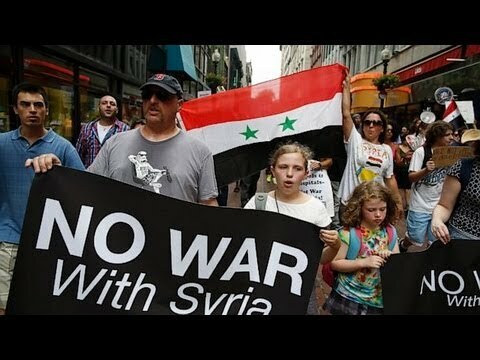 Should President Obama lead the US into a potential war with Syria over use of chemical weapons (with our without approval from Congress)? Is there evidence that President Bashar Al-assad was behind the sarin gas attacks or was it Syrian rebels who wanted it to appear that way? The Young Turks host Cenk Uygur breaks it down.